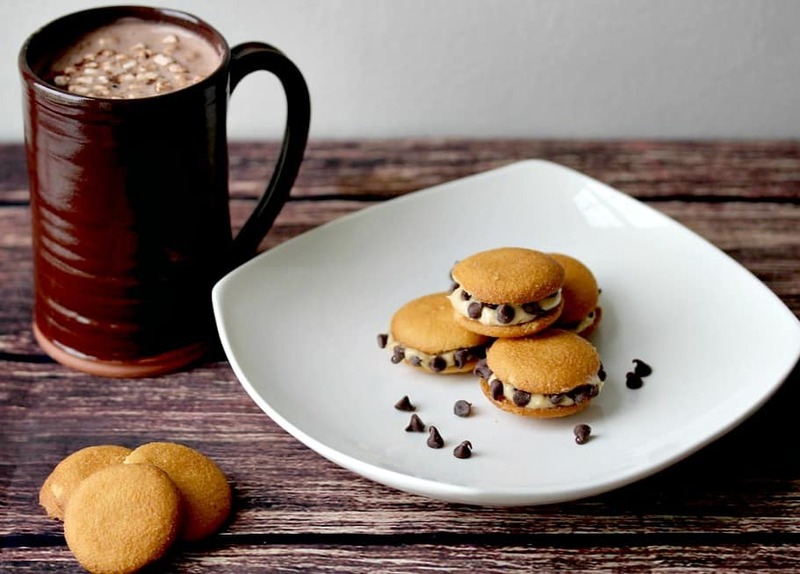 Leave Santa a little something new this year with these Peanut Butter Chocolate Chip NILLA Wafer Sandwiches! I don’t know many people who don’t like peanut butter and chocolate together. In fact, I don’t know anyone who doesn’t like this oh-so-yummy combination! 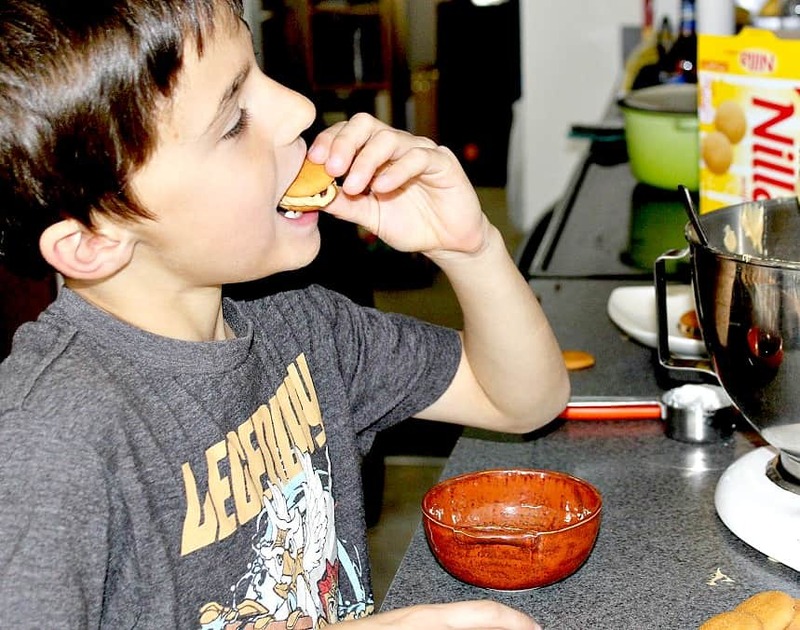 My kids and I are pretty sure that Santa loves it too, so we came up with these fun little Peanut Butter Chocolate Chip NILLA Wafer Sandwiches! We are planning to leave them out for the big man in red alongside a nice warm cup of hot cocoa with marshmallows! Yum! 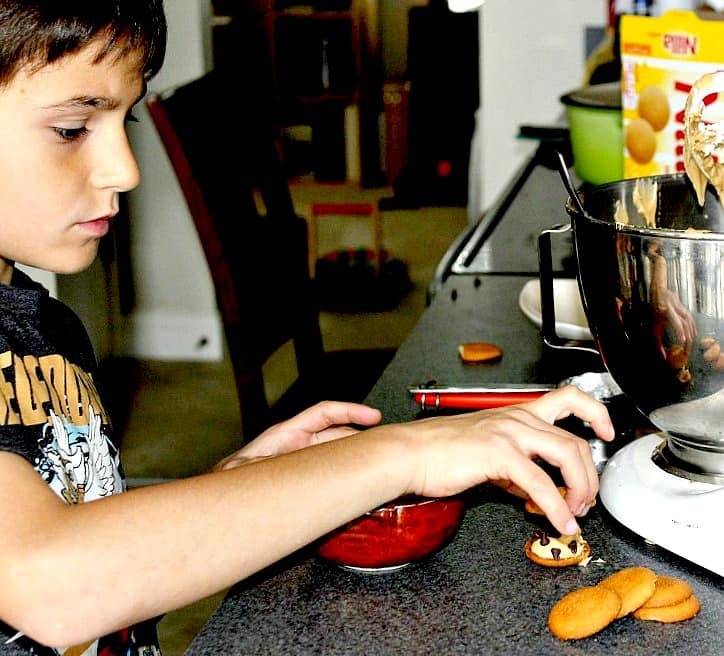 Making cookies for Santa is a popular family tradition for many families! I used to make them with my mom and it’s a tradition that my own children now enjoy! 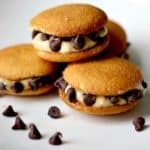 This year we decided to try out something new and came up with an easy recipe for Peanut Butter Chocolate Chip NILLA Wafer Sandwiches! I picked up a box of NILLA Wafers, peanut butter, hot cocoa, and mini chocolate chips. 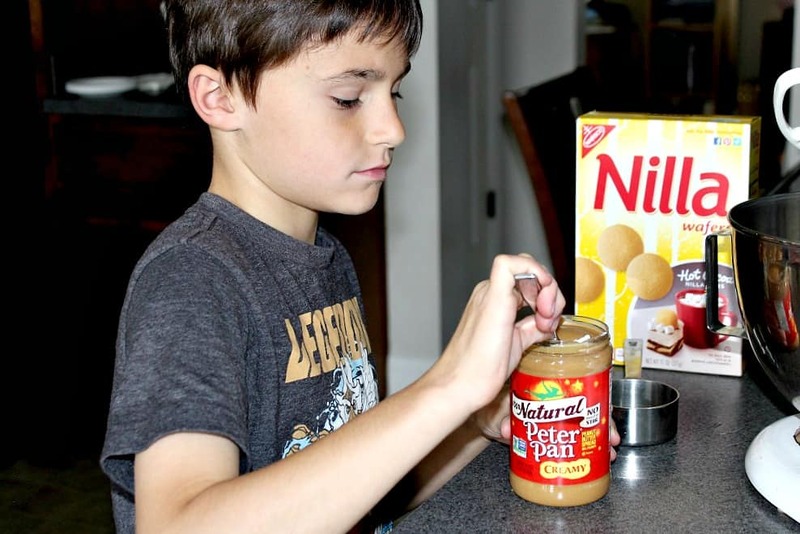 With the help of my oldest son, Jaxon, we were able to whip together an easy peanut butter icing using the Peter Pan Natural Peanut Butter. It only takes a few additional ingredients and a mixer! Next, we add a thick layer of the peanut butter icing onto the flat part of one NILLA Wafer, sprinkle on some mini chocolate chips, and top with a second NILLA Wafer. Squeeze the NILLA Wafers together gently until the icing just about reaches the edge of the cookies, then add some extra mini chocolate chips around the edges, if desired. This recipe makes about 25 NILLA Wafer sandwiches, so there will be plenty of extras for your family to enjoy as well! In a mixer, beat the butter and Peter Pan Simply Ground™ on medium speed until well blended, then slowly add the milk. Gradually add the powdered sugar until icing reaches the desired consistency. I used 1 1/4 Cups to get a relatively stiff icing. Spread about 1/2 teaspoon of icing onto a NILLA Wafer and sprinkle on mini chocolate chips. Top with a second NILLA Wafer. Gently squeeze the NILLA Wafers together, then add more mini chocolate chips to the edges , if desired. Serve with hot cocoa, if desired.